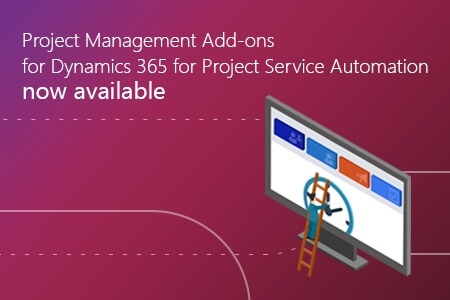 Our Project Management Add-ons extend the functionality of Microsoft’s project management app, Dynamics 365 for Project Service Automation in key areas. 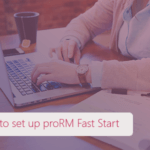 The seamlessly integrated apps offer additional time and expense tracking, approval management, and project planning and controlling functionality. All applications that are part of the Dynamics 365 suite have been designed for extension by solutions from independent software vendors that are part of the Microsoft’s worldwide partner network. Time Tracking: This app allows you to record work breaks as well as the start and end time of each time entry. Additionally, tracking entries may be created on behalf of other resources. To mark the beginning and end of a working day, a Coming/Going (time stamp) function is available. 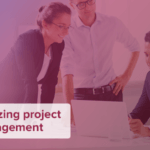 Approval Manager: Filters and chart support enables resource managers to gain a better understanding of the nature and number of submitted tracking entries and project progress. There is also an in-line edit function to quickly make changes or effortlessly correct errors. Project Gantt: This project planning and controlling add-on allows you to view multiple projects at once, use different types of dependencies between project tasks, and use milestones and filters. The Project Management Add-ons for Dynamics 365 for Project Service Automation can be acquired individually or in a package at a discount. If your business features a large project department and staff, we recommend looking at our Enterprise Solution which features Dynamics 365 for Sales, Dynamics 365 for Project Service Automation, and all Project Management Add-ons for Dynamics 365 for Project Service Automation. It leaves nothing to be desired! On Tuesday, proMX CEO Peter Linke took to the stage at Microsoft’s worldwide partner conference in Washington, D.C. to talk about our work with longtime customer, fire engineering company hhpberlin.